This is our first project with our Texas Trash. 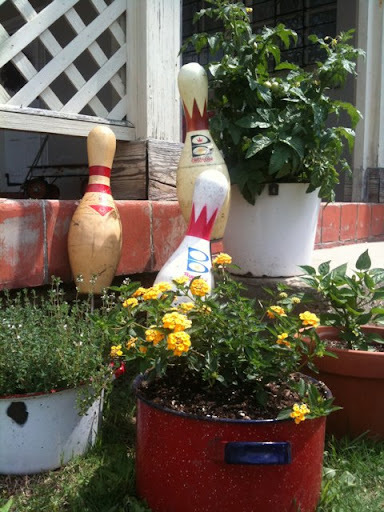 These bowling pins are now a Treasure, and they bring a smile to my face everyday. I hope they do the same for everyone who passes by. I also planted my flowers, herbs and veggies in the enamel pots that I found. If anyone has any great yard art ideas I'd love to know. I'm on a mission.